get one free chemical peel! Improvement of sunspots, age spots, dull complexions, uneven pigmentation, large pores, sun damaged skin, and early signs of aging. Improvement of red flushing skin, rocacea and broken capillaries. Helps with fine lines and wrinkles also to improve acne scarring. Reduces the appearance of fine lines & wrinkles, helps firm and tighten the skin. It is enriched with peptides to help diminish the appearance of age spots such as sun damage and melasma. VivierSkin is quite simply the worlds #1 topical Vitamin C line. 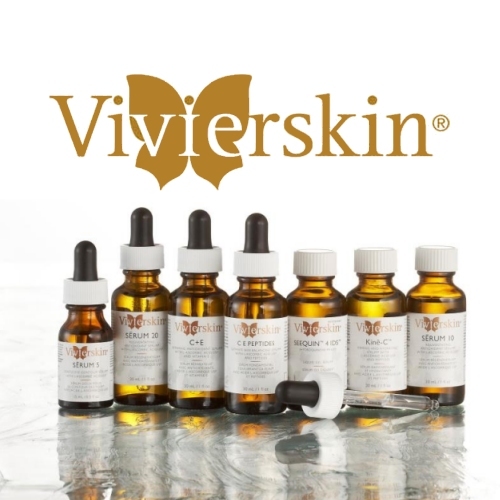 VivierSkin is the only medical skincare brand that combines the powerful benefits of the worlds #1 patented Vitamin C serums (L-Ascorbic Acid USP) with pharmaceutical grade cleansers, toners, eye therapy products, moisturizers, advanced sun protection products, body care and complete skin care systems. Recommended by dermatologists, plastic surgeons and skin care specialists, VivierSkin addresses a number of skin concerns, from dry, sensitive skin to rosacea to hyperpigmentation to anti-aging. Ask About FEMILIFT SPECIALS for vaginal tightening, lubrication & rejuvenation. Call us today for a FREE consultation at 604-557-1208. Please make sure to follow Abby Medical Laser Center on social media so you don’t miss our promotions!